Home » Bozeman Montana Real Estate Blog » Real Estate News » Why Stage Your Home? First impressions are oftentimes lasting ones. Sometimes, the only ones. This is especially true when a prospective Buyer is touring your home. Buyers sense within the first few minutes whether your property resonates with them. If your home meets their basic criteria of price, location, size and style, what can you do to help prevent them from crossing your property off their list? Once a Buyer says, “No! Not for me,” it’s nearly impossible to get them to reconsider. Staging is the act of purposefully making your home more attractive with the explicit goal of selling it. There are a number of ways to make your home more appealing without spending an excessive amount of money. 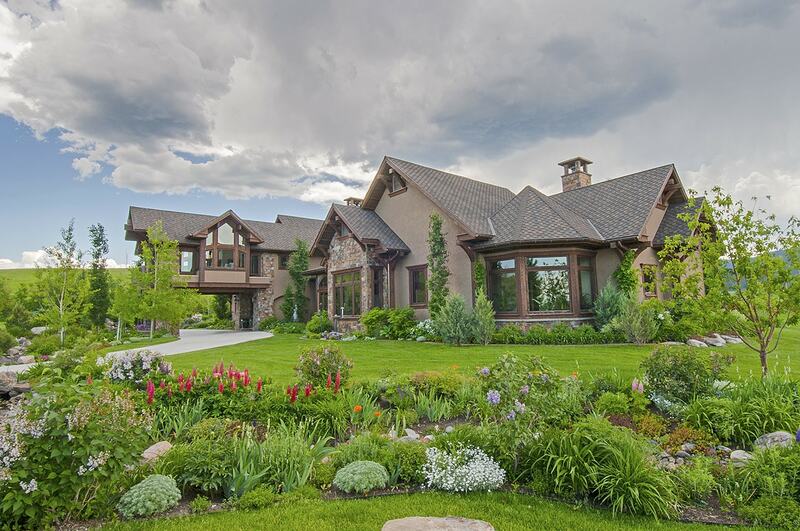 As a specialist in upper-end Bozeman properties, I dissuade my Sellers from “throwing good money after bad,” and concentrate more on positively engaging a Buyer’s emotions and senses. Your first step in staging is to drive up to your home and view it with clear, fresh eyes. What do you see? What draws your eye? Is it pleasing? Or, conversely, off-putting? Is there an attractive plant by the front door or a porch swing evoking leisurely moments on warm summer days? Or is your yard weedy, with bits of trash stuck in overgrown shrubs? Your entrance is an invitation. It’s promising things to come. What does the front of your home suggest? From the moment a Buyer arrives, you are staging and selling. Be certain the front door lock works and the door opens smoothly. If you expect the Buyer to remove their shoes, have a comfortable place for them to sit, and something delightful to look at while they wrestle with their footwear. They certainly shouldn’t be tripping over something or feeling claustrophobic. A few weeks ago, I was showing my clients a handful of potential properties. We walked into a home that was ideal, but they stopped in their tracks, sniffed, and said, “Outta here.” A dead mouse in the crawl space of what is a second home and not regularly attended killed the deal, so to speak. People react to their senses, and smell is a powerful one. Fresh, clean air, best with a temperature between 68 to 72 degrees. A subtle, alluring fragrance of fresh baked cookies, bread, or cider is far preferable to stale kitty litter, over-cooked cabbage, or mustiness, but even that can be too much. Enter your front door, close your eyes, and breathe. Any over-powering odor sets a negative stage, and a number of people are allergic to fragrances. Stay away from room fresheners or lingering chemical cleaners. Cleanliness is vital. Your house must be swept, dusted, vacuumed, windows washed, beds made, dishes done, counters spotless. Keep the toilette lids down, the towels neatly displayed, and pillows fluffed. Put out nice bars of soap. Closets should be arranged like a retail store—neat, tidy, items folded. When a Buyer opens a kitchen drawer and sees attention to detail, they feel more assured that the mechanics of the house are likewise well tended. I was showing clients a home with heart-stopping views, except that when we arrived the heavy dark curtains were drawn and the house (another second home with an agent who did not prep in advance) morbidly dark. By the time I pulled open the drapes, my clients had made up their minds—this home was too depressing. I still believe that if we had walked into the house bathed in sunshine with the views fully exposed, they would have fallen in love. Natural light and views are vitally important features. Open your curtains and blinds and keep the windows spotless. If your Realtor is unable to arrive before the Buyer, turn on your lights! Open doors! If you have a sound system, put on soothing, low-volume background music. Far better for the Buyer to note the pleasing sounds than for your agent to forget to mention your sound system. There is a big difference between “clutter” and tastefully displayed collections. Too much furniture makes a room seem smaller. Look at your rooms critically. Are there pieces of furniture that need to be rearranged or removed so the “flow” pattern in the room is improved? Too many items on tables, shelves, book cases, window sills, closets, etc. are negatives. Potential Buyers rarely respond positively to clutter. A garage groaning with discarded toys, boxes, and “stuff” is uninviting. No one wants to imagine you, the homeowner, struggling to pack your goods. Putting your home on the market is an excellent excuse for a solid spring cleaning and major de-cluttering. If you are undecided on whether something should stay or go, probably it is better to get rid of it. Paint is relatively inexpensive and immediately freshens a space, especially if the walls have scratches, chips, and stains. Pick colors that are neutral, neither harsh nor too white. You want an inviting space, with a sense of style, rather than a cold, sterile environment. A few well-placed vases filled with seasonal flowers cheers any room. If you are using artificial flowers be certain they are quality ones that fool even a discerning Buyer into thinking they are real. Never have dead flowers in the house! Your passion(s) in life may not appeal to a Buyer and if they see too much evidence of certain activities and interests, it may cause them to flee. Keep your pets out of the picture! Not everyone loves dogs, cats, hamsters. And, if you are a trophy hunter, try to minimize the number of mounts on walls. The right Realtor will help you navigate and prepare your home. They will also attempt to give you 24 hour notice so you can prepare for the showing. It is a big effort to stage your home but if you are motivated to sell, it will pay off. As always, should you engage my services, I will bring expertise to the task.